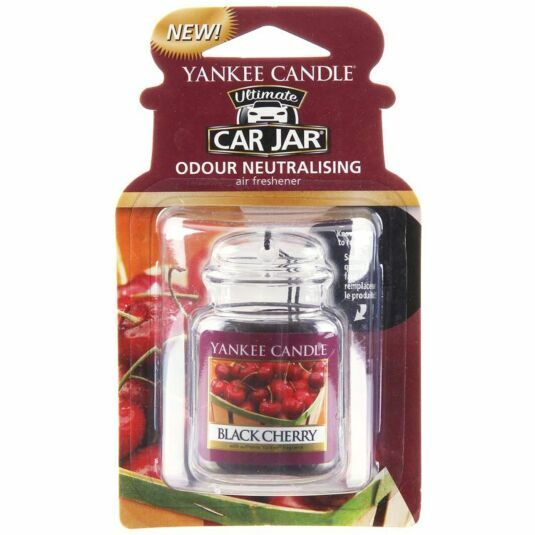 Immerse any small space in the warming fragrances of Yankee Candle with this odour neutralising Car Jar Ultimate Air Freshener. Divulge in the sweet and rich aromas of Black Cherries as a naturally mouth-watering fragrance fills the environment with most delicious of fruity scents. This Car Jar Ultimate is easily placed throughout any environment with a handy attached string, allowing the fragrance to swing freely and immerse the environment in an evenly dispersed way. This Car Jar Ultimate can provide an authentic Yankee Candle scent for up to 4 weeks.